- With a Mental Health Care Plan you get refunded $84.80, see below for details. - Recipients of Centrelink Benefits may be eligible for a reduced fee. * These Services exempt from GST for individuals. ​​Alison Muir is committed to providing all of her patients with exceptional care. When a patient cancels without giving enough notice, they prevent another patient from being seen. Health Fund Rebates May Apply. If claiming using your Private Health Fund most claims can be processed at the clinic during business hours, Eftpos facilities are available. In November 2006 the Federal Government introduced the Mental Health Care Plan which can be accessed through your General Practitioner (please note that there is a criterion you must meet which you can discuss with your GP during your consultation). Once in place this plan registers you with Medicare and you are able to claim back $84.80 per session from Medicare. Unfortunately due to Medicare regulations we are unable to accept just the Gap payment, hence the account must be paid in full. 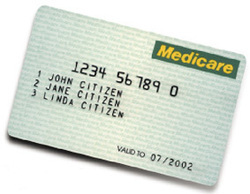 However you are able to claim back the Medicare rebate at the clinic and the refund is deposited directly into a cheque or saving account with a standard bank key card. Don't hesitate to contact the clinic if you have any further enquiries regarding the Medicare rebate. More Information about the Medicare Mental Health Care Plan.